Women in preservation: the real meaning of “house keeping”? Junior League, Colonial Dames, Daughters of the American Revolution. Heiresses with a connection to place. Women are not just the sprinkles on top of the confection that is preservation of place, they are key ingredients. You might see them as berry swirls of red, white and blue considering the patriotic connections and motivations of days gone by. Yet, far too often, they are the unsung heroines. Is there something about the female personality that lends itself to the connective, communicative requirements for preservation success? For years (and even today) women were supposed to know their place was in the home or in the mill or typing pool. Women’s biographies tended toward birth, marriage, children, death because what more of value was there to report? Even at historic sites with compelling women’s history, the tendency is to tell the tale from the man’s point of view, and the house is named for the man who owned it. Barrett Wendell (1855-1921), one of Jacob Wendell II’s four sons, inherited the Portsmouth home in 1917 and lived there after his retirement from Harvard University. A well known scholar of English literature, he traveled extensively with his wife, Edith Greenough Wendell (1859-1938). She was very active in local and state organizations. “Active in local and state organizations“? Well, the real story is that without Edith Greenough Wendell, one of the finest mansions in New England would be the site of a gas station today. 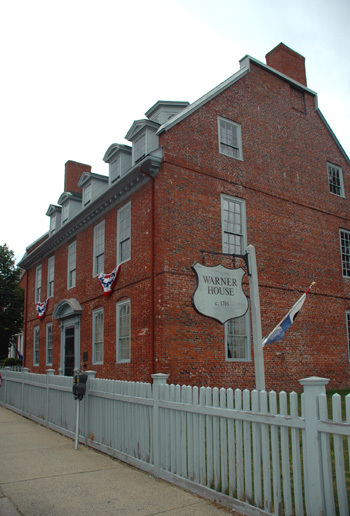 Here’s to “Women who saved the day (and the house)” and the story of Edith Wendell’s “house-keeping,” which saved Portsmouth, New Hampshire’s extraordinary Macphaedris-Warner House, built 1716-18 and designated a National Historic Landmark in 1960. Early in the 20th century, the seaside town began to see changes. The waterfront saw significant commercial development. By 1923 traffic increased with completion of the Memorial Bridge spanning the Piscataqua River to connect Portsmouth to Kittery, Maine. A filling station replaced the Judge John Sherburne House. The same fate might have befallen Warner House (1716-18) at the corner of Daniel and Chapel Streets if not for Mrs. Wendell. In 1931 with the country still reeling from the ’29 stock market crash, Mrs. Wendell raised $10,000 for the rescue purchase of Warner House. Named for Captain Archibald Macpheadris who built the house in 1716-18 and for Portsmouth merchant Jonathan Warner, the house is one of the earliest and most elegant brick mansion houses in New England. The dramatic wall murals, featuring Native Americans, are the oldest colonial wall paintings still in place in the United States. The Warner House opened its doors to the visiting public in 1932 and has served the community as a house museum ever since. 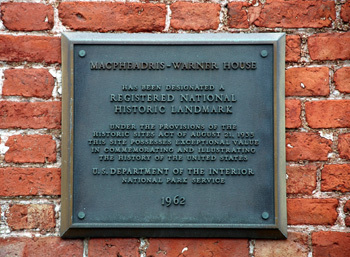 Today, like so many historic house museums across the country, the Warner House works hard to maintain the National Historic Landmark building and its collections and may be negatively affected by construction work connected with replacement of the nearby Memorial Bridge (1922). 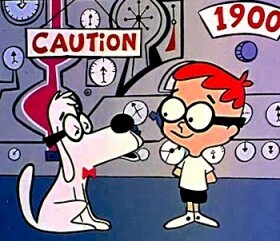 Will the ladies of Portsmouth and Kittery come to the rescue once again? Donna — I considered doing my thesis on the history of historic preservation (but Randy Mason had just published a book on the topic, so it seemed a bit redundant…) — the topic I ended up choosing led me to the histories of some of the women’s groups that rallied to save the homes of Important Patriots, Signers of Big Documents, and, of course, Presidents. So often it was groups of women doing all the saving and yet, touring the sites, you rarely hear that story. For the thesis I ended up pursuing, I proposed that Patriot Mayor Samuel Powel’s House would be so much more compelling as a women’s history story about his wife Elizabeth (who loved to meddle in politics) on through the story of how Frances Wister saved the building from demolition. Though not nearly as comprehensive an effort, I’m hoping to share some of what I uncover here and honor women like Penny Batcheler and Carolyn Pitts who had such remarkable lives and made such important contributions to preservation. On my list is a “book” created for Carolyn’s memorial that includes outraged letters from VIPs about her preservation activities as well as articles recognizing her dogged efforts to document and preserve the Victorian architecture of Cape May.